« Back to School – Back to Packing Lunches! With a range of medications available to help the 50 million Americans suffering from arthritis many may not know that what you eat can influence your symptoms and also how the disease progresses. Rather than supplements in the form of pills, food with certain nutrients can help. · Vitamin C about the amount in two oranges (152 milligrams a day) has been found to reduce the progression of osteoarthritis. Vitamin C plays a role in the formation of cartilage, collagen and proteoglycans. It also is an antioxidant which helps limit the free-radical oxygen compounds that can damage cartilage. 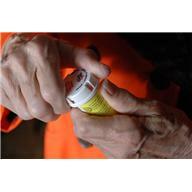 · Vitamin D was shown to cut the progression of arthritis. Living in the northern attitudes especially in the winter, makes it difficult to get enough Vitamin D. This is the one vitamin that you may need to supplement. Vitamin D not only plays a role in bone building it seems to affect the production of collagen. 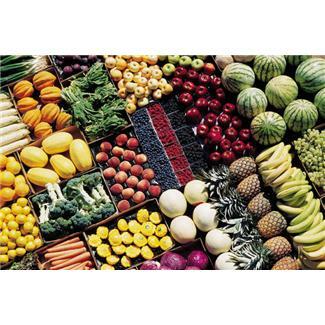 · Beta-carotene reduced the progression of arthritis when 9,000 IU were consumed daily. This was not seen when people consumed 5,000 IU. Most Americans only get 3,000 to 5,000 IU a day of beta-carotene. However, you can easily increase your amount by using orange vegetables and fruits. One medium sweet potato contains 21,909 IU. · Vitamin E – In a study with people who had knee osteoarthritis those that consumed 6-11 milligrams of Vitamin E daily (from food) saw a 60% reduction in the progression of the disease over 10 years compared to those getting 2-5 milligrams daily. Due to the increased risk of lung cancer, smokers should not take extra Vitamin E or beta-carotene pills. · Vitamin K is being studied now. So far, the study suggests that Vitamin K may slow the progression of osteoarthritis. Good sources of Vitamin K are spinach, broccoli, leaf lettuce, kale, asparagus and olive, soybean and canola oils. · Omega-3 Fatty Acids suppress inflammation in the joint. This is what causes so much stiffness and pain. Eating two or more servings of fish (baked or broiled) per week reduced the chance of developing arthritis. Other sources of omega-3 are flaxseed and nuts. Canola, soybean and olive oil have some omega-3s. Best to avoid omega-6 fatty acids found in safflower, sunflower, cottonseed and corn oils. These are usually also in processed foods and fried foods, so limit your consumption of them. · Limit consumption of sugar. More inflammation has been linked with higher sugar consumption. · Drink Water. 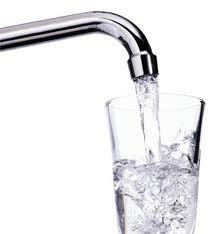 Water helps all around from moisturizing, giving support to joints, carrying nutrients and removing wastes from the body. Some medicines used for arthritis also change your thirst level. Be sure to drink plenty of water, preferably 8 cups or more a day of liquids. Eat a healthy diet of fruits, vegetables, whole grains, low-fat dairy, and protein along with oils rich in omega-3s. Limit sweets and other fats and oils. Eating fruits, vegetables and whole grains will increase your fiber intake which the Arthritis Foundation says may keep inflammation down. Tufts University, . Eating Right for Healthy Joints, Tufts University Health & Nutrition Letter Special Supplement, June 2013.